The book is a reissue of a 1995 book, so it’s not really ‘new’ (although I don’t think it’s been in print for a long time). It’s about Niviene, the daughter of the Lady of the Lake, and retells the Arthurian legend from the perspective of the faerie folk. 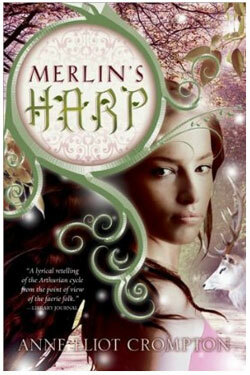 Merlin’s Harp by Regina McBride is available on Amazon.co.uk for £4.99 and on Amazon.com for $7.99.